Getaways in Dubai will be even more memorable as Emaar Entertainment offers complimentary access exclusively for guests of Address Hotels + Resorts to two of its premium family entertainment attractions – VR Park Theme Park and Dubai Aquarium & Underwater Zoo. 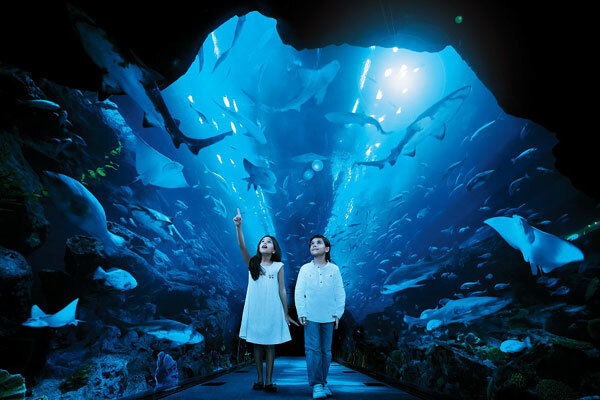 Guests staying at any one of the best luxurious destinations – Address Downtown, Address Dubai Mall, Address Boulevard, Palace Downtown or Armani Hotel will receive a pass that entitles two people free admission to Dubai Aquarium & Underwater Zoo as well as two VR Park Theme Park Super 7 passes. Guetss can embark on a unique experience full of twists, turns and thrills to enjoy a roller coaster adventure of unforgettable rides, virtual reality and multi-player games at VR Park Theme Park. The Super 7 pass includes thrilling games such as Dubai Drone, Dune Bash, Robocop VR and Burj Drop. Come face to face with some of the ocean’s most fascinating predators and explore the aquatic life at Dubai Aquarium & Underwater Zoo. Upon check-in to any Address Hotels + Resorts Downtown Dubai property, the passes will be enclosed in the hotel key folders, so guests can experience an unforgettable holiday in the heart of Dubai and immerse themselves in exhilarating experiences at Dubai's leading entertainment attractions – Dubai Aquarium & Underwater Zoo and VR Park Theme Park.